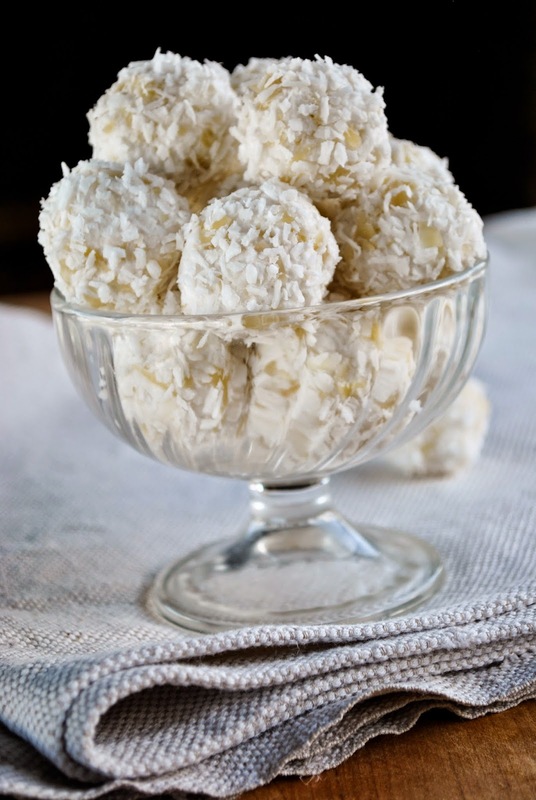 At first I thought I'd name this dessert a "Poor man's Raffaello". But the moment I tasted it, I knew it was a rich man's Raffaello and even better. Honestly - this recipe is so delicious and absolutely effortless. It contains only 4 ingredients and tastes heavenly. 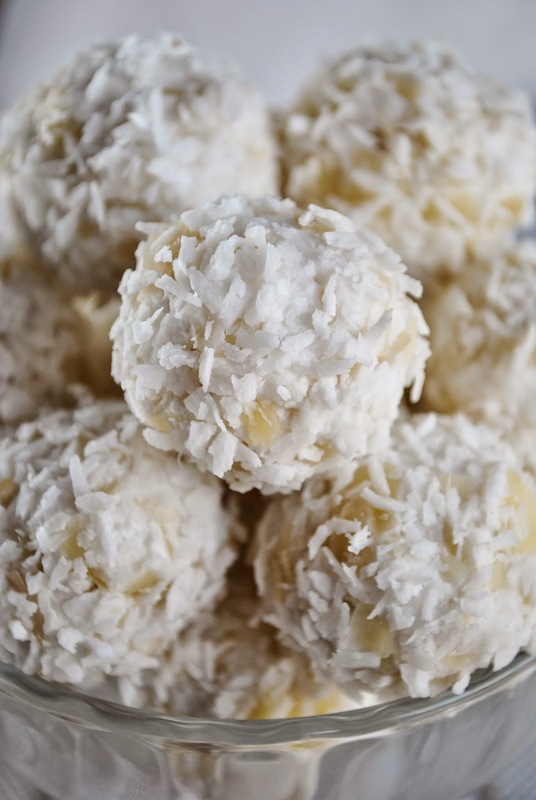 If you want, you can put an almond in the center of every ball and roll the balls in coconut flakes. I went the easy way and even then I was really satisfied with the result. PS! Before you start making this dessert, be sure the coconut milk can has been in the fridge overnight. Take the coconut milk can out of the fridge and flip it upside down. Open the can, pour away the liquid or keep it for some other food. Scoop the hardened coconut cream out of the can into a deep bowl. Add sugar(s) and mix lightly with a fork. Add coconut flakes and slightly crushed almond flakes. Mix with a fork, taste and add more sugar if needed. Form little balls out of the mixture. 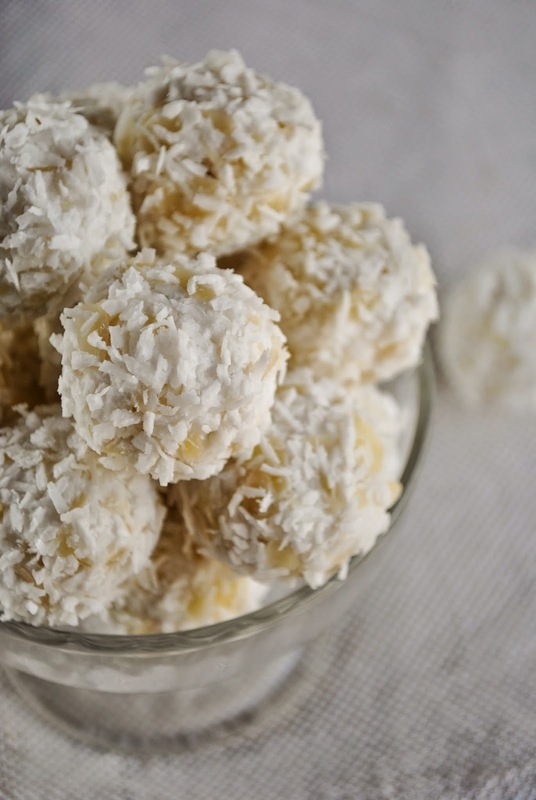 Roll them in coconut flakes. Store in the fridge.